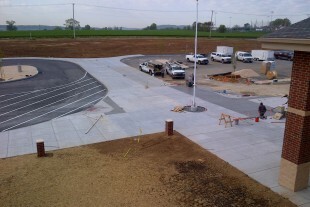 The new Donegal High School project included nearly 40,000 square feet of new concrete sidewalks. 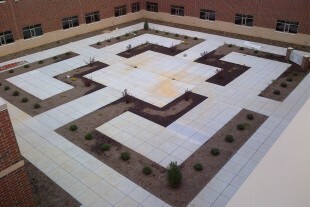 This project also included a beautiful internal courtyard with an intricate scoring pattern. The internal courtyard is enhanced by the crisp, straight lines that were expertly hand-tooled into the concrete.